and Icynene Classic is fully BBA certified. The Icynene Spray Foam Insulation System is a series of soft, flexible spray foam insulation products that delivers up to 50% greater energy savings when compared to other home insulation products. Icynene is the only foam on the market to have achieved BBA, ETA and IAB certifications. Icynene absorbs the lowest amount of moisture and has the highest level of vapour resistivity of any soft foam on the market. Our certified installers can help you choose the most suitable insulation product for your project. The latest addition to the Icynene product range. Rigid closed cell foam for high performance. The demand for energy-efficient and certified buildings is rapidly growing. 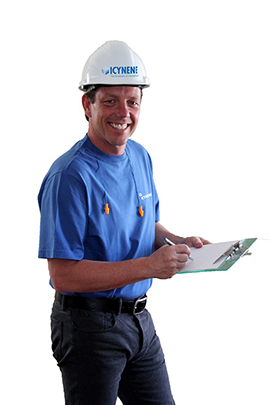 Of all insulation types, no others can help you capitalize on that demand like Icynene can. Don’t risk your reputation by installing a brand of spray foam insulation “like” Icynene. Choose the real thing, and seize the opportunity to grow with the industry leader.